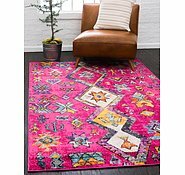 6' x 9' Santa Fe Rug is rated 5.0 out of 5 by 31. Rated 5 out of 5 by Stephen from Excellent choice and service We are very happy with our rug, and with the service we have received from Aurugs. Standout benefits - - the huge range of rug patterns - the variety of sizes available - the detailed photographs of each rug, assuring us of quality and detail - the accuracy of the finished product to that on the website - the options for purchase, including Paypal - the excellent price range - the delivery, including cost (included in price), and tracking details during delivery We are very happy with Aurugs. Despite having reservations about making an online purchase for such an expensive and important choice, we have learned that the range and cost is superior to shopping locally (sorry local traders). 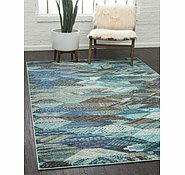 Rated 5 out of 5 by lessandi from Impressed Rug arrived today and color was exactly what was in the picture. Very happy!! 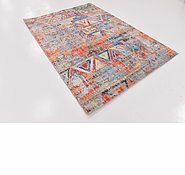 Rated 5 out of 5 by Stevo33 from Beautiful rug and fast postage. 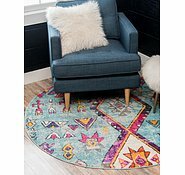 We searched our local stores for months looking for the perfect rug with no success. We then found exactly what we wanted on aurugs within minutes. And in many different sizes. Received by courier to the other side of the world within days. Colours very true to pictures. Highly recommended! Rated 5 out of 5 by Aussie Ruby from Love it! 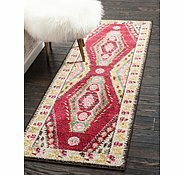 Bought a massive Santa Fe rug. At my door in Australia in 10 days. 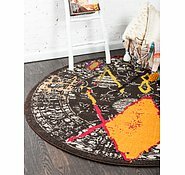 The rug is true to the online photo. We love it. 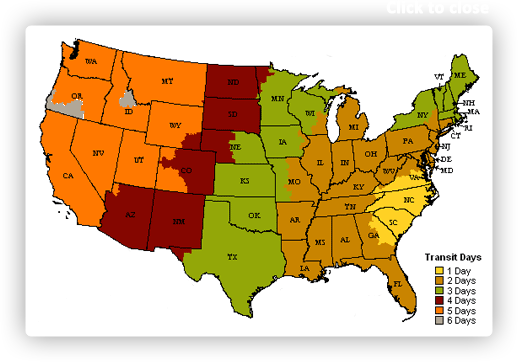 My only issue is we had to ring the states as I never received an email that my purchase had been dispatched. Other than that, it's a big YES from me as a recommendation! 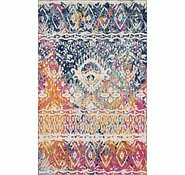 Rated 5 out of 5 by Sonya from Beautiful rug My rug has arrived very fast. The colours are a bit darker and not as bright then I’ve expected but I love the design. It’s suits to my little dinner area.The quality is good, pleasant to tuch, doesn’t look polyestery. Overall, happy with the rug and the delivery.Thanks. 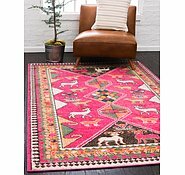 Rated 5 out of 5 by Sirico from Lovely rug with vintage look and subtle features. 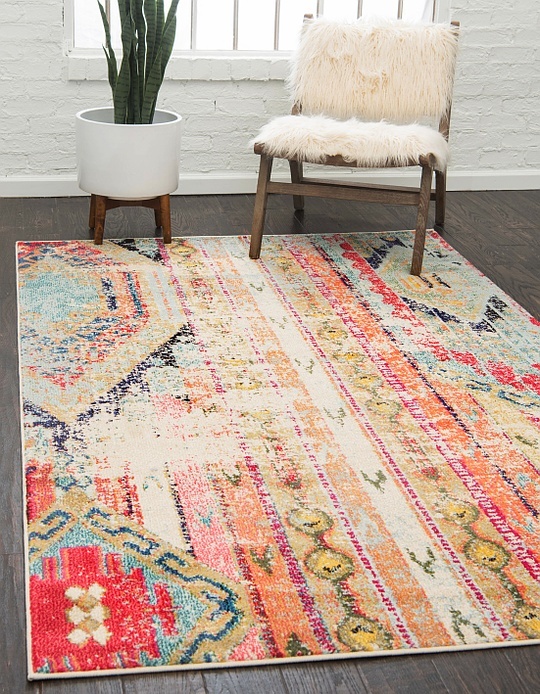 Soft and warm tones in this rug and gives light and character to the space. 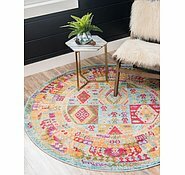 The delivery was so quick and the rug looked exactly how it was on the website. Very satisfied with the value and quality. 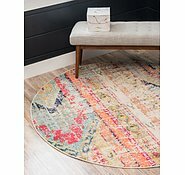 Rated 5 out of 5 by Leah V from Thank you once again So happy with our rug purchase! Getting heaps of compliments and I share your information. 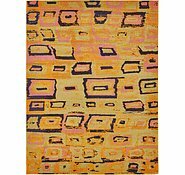 It is wonderful to have the same rugs in different sizes for different areas of our open plan living. 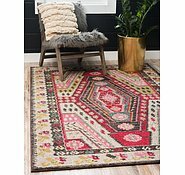 Hello I am after a rug that wold be a little narrower than this - is it possible to have it trimmed and overlocked to 2.5m wide? 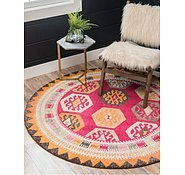 I love this pattern and it is the closest to what I have been looking for. Will this be back in stock? Can I be alerted? what height is the pile? 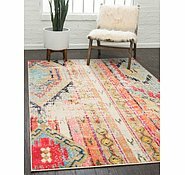 Hi will the Santa Fe rug 244x305 be back in stock soon?